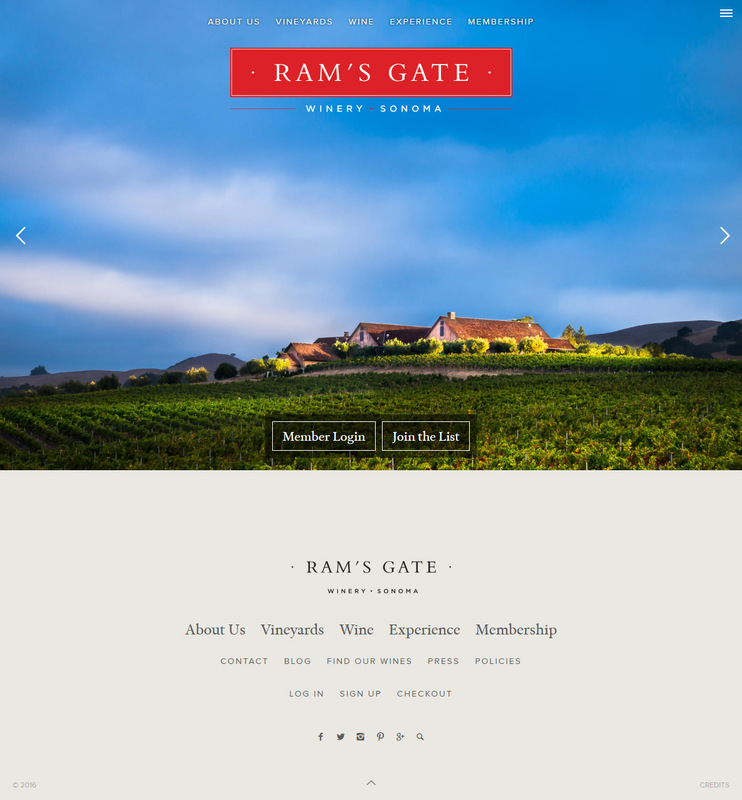 Ram’s Gate is a Sonoma winery in the Carneros AVA focused on small-lot Chardonnay and Pinot Noir from their estate vineyard and special vineyard sites. 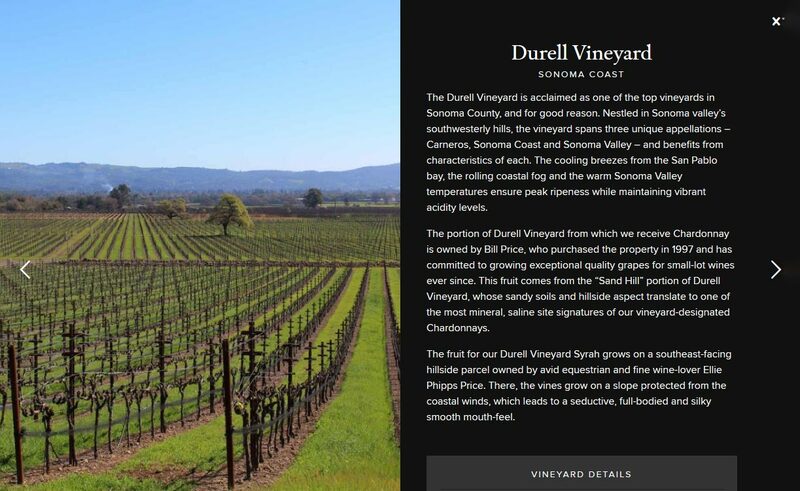 They offer a range of hospitality offerings for visitors and members at their exquisitely designed winery in Sonoma. Express the eclectic rustic character of Ram’s Gate, contrasting modern and traditional elements, with a focus on detail and bespoke quality. 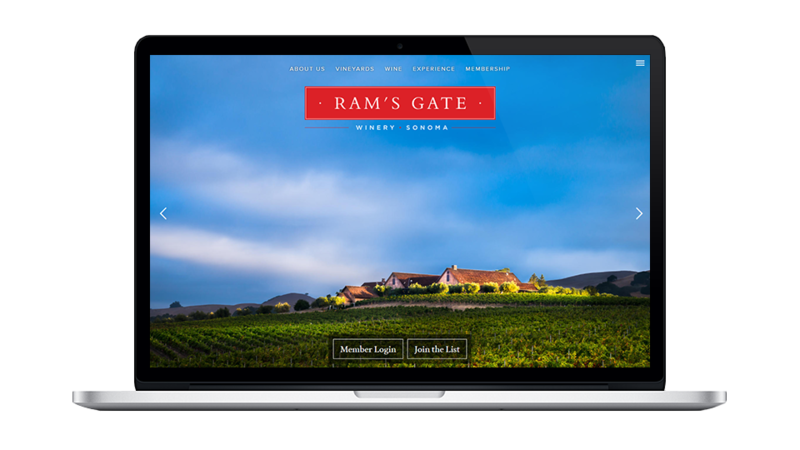 Tell the story of the wines, the place, and the people, conveying the passion that drives winemaking and life at Ram’s Gate. Create a secure convenient purchasing experience for customers, encourage participation in the mailing list, and facilitate new membership registration. Appeal to connoisseurs, collectors, and established wine-drinkers who appreciate quality and authenticity. I can’t speak highly enough of my experience working with Vin on a significant website redesign. The design is stunning, and Jon worked incredibly quickly and efficiently to complete the project. It was amazing to have calls in the afternoon, then by the time we were back in the office the next morning, Jon had sent his night’s work for us to review— it was like magic. Jon was very thorough at the start of the project, asking the right questions to make sure we were on the same page to achieve our goals with the new site. I also appreciate Jon’s prompt turnaround time, both during the design process and with follow-up items after launch. Highly, highly recommend.